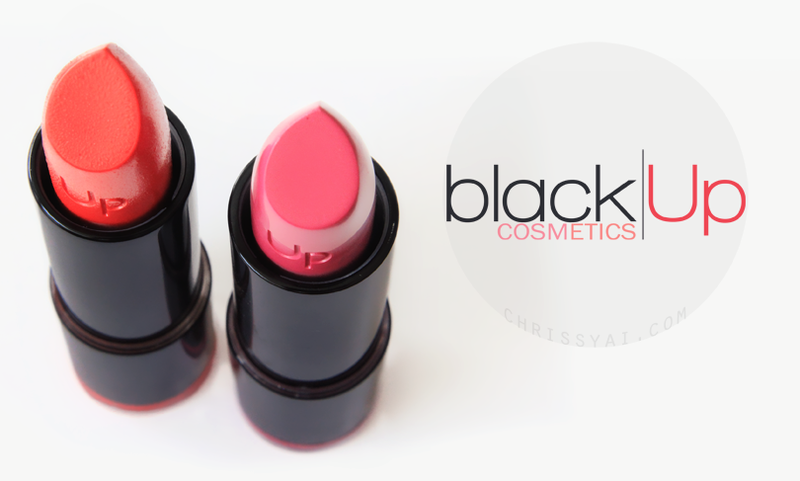 black|Up Cosmetics is a brand that's new to me but was one of those brands that immediately drew my attention. I'm a complete sucker for sleek packaging which is probably one of the main reasons I was so excited to try them out! Today I have two of their lipsticks, 21 and M17. "Founded in 1999 by an African makeup artist, black|Up Cosmetics is the first dedicated upscale beauty brand to magnify black and mixed beauties. black|Up develops a true expertise answering darker complexion’s specific needs and offers products that pair professional quality and pleasure of use: velvety effects, mat or powdery finishes, perfect coverage, ultra vibrant colors, 100% non-ashy finish... Thanks to its unique offer, black|Up has become a key player in the makeup world that seduces black and mixed women as much as all the makeup addicts of the planet." At first glance, this brand doesn't exactly seem like I'm it's targeted consumer. However, you know the old saying don't judge a book by its cover? It applies here. 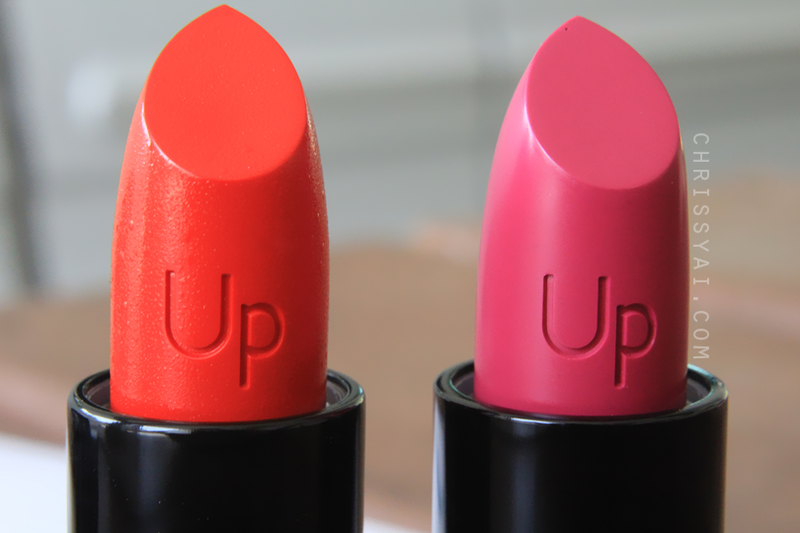 These lipsticks apply and wear amazingly. Texture/Application: These lippies are extremely creamy/smooth (as you can see in my photos, M17 started 'sweating' in the Florida heat, but no worries, she dried back to normal!) and have amazing pigmentation as you can tell by the photos below. They seriously just glide on effortlessly, I love that it doesn't take repetitive strokes to get excellent color payoff with these lipsticks. 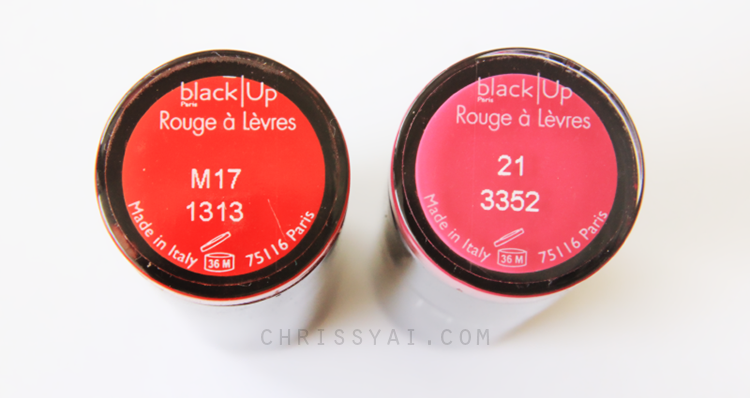 M17 is a lovely matte finish while 21 is a smooth satin finish. I'll have posts of these makeup looks with full details soon! First image shows M17 immediately after application. Second image shows 21 approx. 40 minutes after application. Longevity: These lipsticks lasted an hour on me before they started fading in my corners and inner center. However, despite the fading, the lipsticks left a stain-like appearance behind. After two hours, I experienced a drying feeling on my lips and felt like I needed to run for lip balm. It went away after drinking some soda, but I suspect this might be from the staining quality this lipstick has. 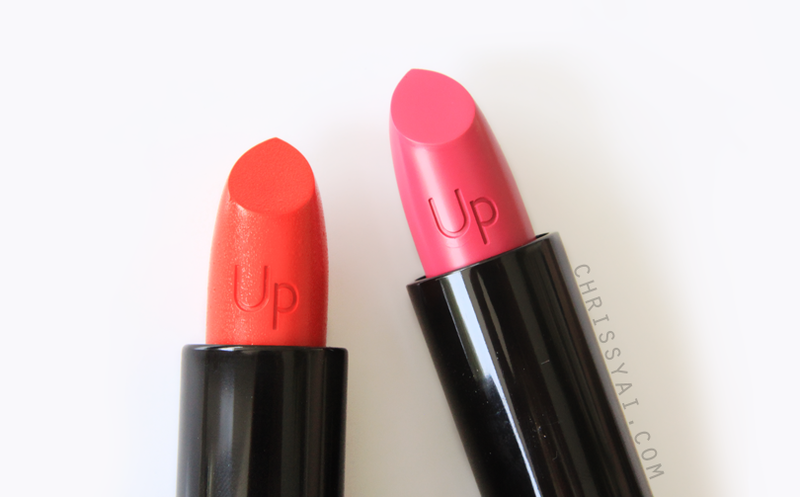 Packaging: Next to the pigmentation of these lipsticks, the packaging surprised me the most. These lipsticks come in a "heavy duty" tube that, to me, feels like it's metal. It's definitely heavier than your typical lipstick. It's not by any means inconvenient to me, however, I love that it feels so durable! Oh the colors looking so rich and stunning on you! As usual i wanna say i think you have best makeup posts with best pics ever!